First time bake a custard pudding for Cookie. Although the outcome was not perfect, but my dear Cookie love it so much. 1. Whipped the egg and honey in a bowl. 2. Gently pour the milk and vanilla extract into the bowl. Mix well. 3. Pour the mixture into 2-3 small cups. 4. Heat in the microwave (500W) for 1 min 30 seconds with a wrap. Then it’s ready to be served. 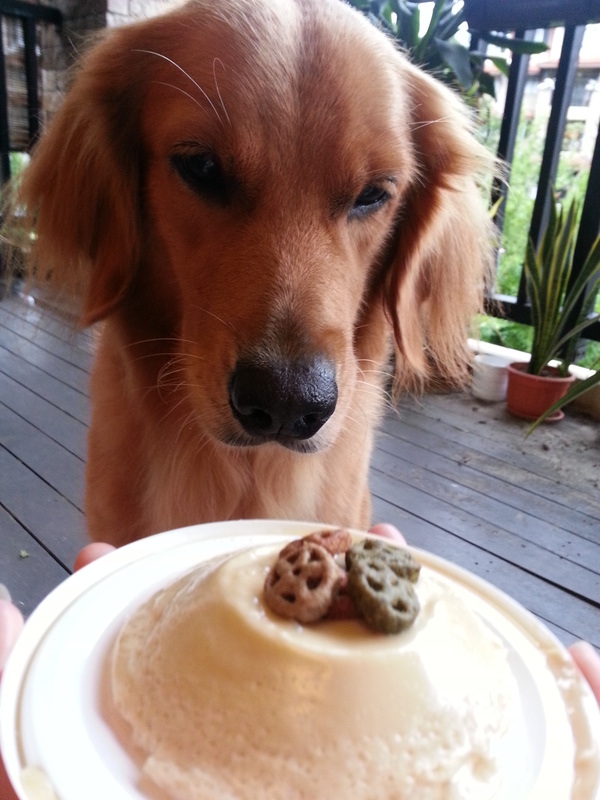 I decorate the pudding with some dog treats on top. The pudding not so smooth, will need to try do again to make it smoother. Anyway, my cookie enjoy eating it.